The University of Maryland (UMD) will host researchers from across the Big Ten for the Strategic Partnership for Applied Redistricting Knowledge (SPARK) Conference at The Hotel at UMD in College Park, MD on March 4-5, 2019. The conference, sponsored by the Big Ten Academic Alliance, will bring together a multidisciplinary group of experts to launch a new initiative focused on how academia can address challenges associated with redistricting and gerrymandering. building a data hub that can be used as an informational resource for public awareness, as well as an academic resource to develop new educational courses and research projects on redistricting. Redistricting, and in particular, gerrymandering—the manipulation of district boundaries to serve the political interests of incumbents and/or parties—pose a major national issue that impacts the health of American democracy. The need to address this issue is timely, as the 2020 U.S. Census will soon be in the field and will provide a basis for the next reapportionment of congressional and state legislative seats. How the districts will be drawn to elect representatives is of great concern to citizens and officeholders alike. The geography of the Big Ten universities represents a collection of states that have seen major, high-profile redistricting cases brought before the Supreme Court of the United States (Maryland, Wisconsin, Pennsylvania), as well as ballot initiatives on redistricting (Michigan and Ohio). These court cases and ballot initiatives reflect a growing concern nationwide about the impact of redistricting. Early inspiration for the SPARK Conference began with efforts by UMD’s Judge Alexander Williams, Jr. Center for Education, Justice and Ethics and Department of Government and Politics to build a research initiative on redistricting. Maryland Governor Larry Hogan recently selected Judge Williams to Co-Chair the state’s new Redistricting Reform Commission. UMD’s Dean of the College of Behavioral and Social Sciences, Dr. Gregory Ball, expanded the scope of the academic research initiative by engaging peer universities in the Big Ten. A diverse range of scholars will attend the SPARK Conference in March, including researchers with expertise in political science, geographic information science (GIS), law, statistics and population demographics, economics, mathematics, and social science data analysis, among other areas. Subject matter experts from foundations, think tanks, and legal centers will also attend. Keynote speakers include Ruth Greenwood, Senior Legal Counsel for Voting Rights & Redistricting at the Campaign Legal Center, and Michael Li, Senior Counsel for the Democracy Program at the Brennan Center for Justice. 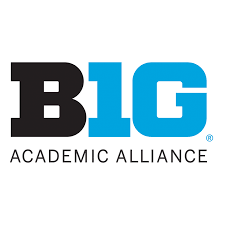 Funding to support the conference was provided by Big Ten Academic Alliance Liberal Arts and Sciences Deans representing the 14 Big Ten universities. Attendance for this conference is by invitation only. For more information about the SPARK Conference, contact BigTenSpark@umd.edu.